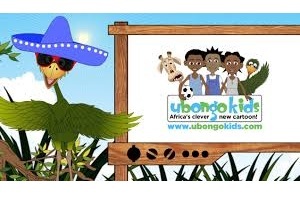 Ubongo Learning is Africa’s leading producer of kids’ edutainment. As a non-profit social enterprise, we create fun, localised and multi-platform educational content that helps kids learn, and leverage their learning to change their lives. Ubongo reaches millions of families across Africa through accessible technologies like TV, radio, and mobile phones. Our show’s Ubongo Kids and Akili and Me currently air in 31 countries across Africa, in Swahili, English, French, Kinyarwanda which means that there is great need to reach and engage with our online audiences in different countries. creating engaging content for a diverse online audience in English (required), Swahili (required), and French (not required but preferred). 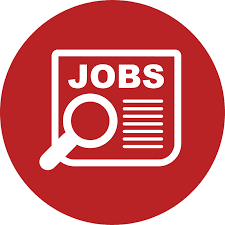 You will work closely with the Marketing Manager and Chief Business Officer to ensure effective implementation of our social media strategy in multiple countries across Africa, including Tanzania, Kenya, Uganda, Rwanda, Nigeria, Ghana, South Africa, Zambia, and Francophone Africa. We don’t just need a do-er but a go-getter as well; you must be willing to be challenged, think critically and creatively about the role that social media has in Ubongo’s continued expansion across the African content and globally. People who work at Ubongo are passionate about education, kids, and making a difference. Whether you are an intern or a full-time employee we provide a work environment that is friendly, approachable and driven. A planner, who knows how to use Excel Spreadsheets, and is excellent at managing content calendars for multiple countries. A good writer with overall great communication skills – your content will be viewed by audiences in multiple countries so an international standard of writing is absolutely essential. Proficient in writing in both English and Swahili. Additional languages such as French, Kinyarwanda, Kikuyu, Luo, Igbo, Yoruba, or Hausa are a bonus – especially French. Proficient in photo and video editing software, Photoshop and Final Cut Pro. Someone who pays close attention to details; we are an educational brand so spelling mistakes and grammatical errors on posts are unacceptable. Tech savvy and able to quickly figure out new software and systems. We also use a range of different cloud-based programs to collaborate streamline our work, including Slack, G Suite, Creative Cloud, Workflow Max and others. An independent worker, who is self-motivated. Passionate about education, storytelling, and being a changemaker. Can work well in a dynamic environment with people in multiple countries. Someone who loves kids. They’re why we do what we do. They’re running around our office all the time. Our kids’ music and videos will become part of your life (and constantly stuck in your head).